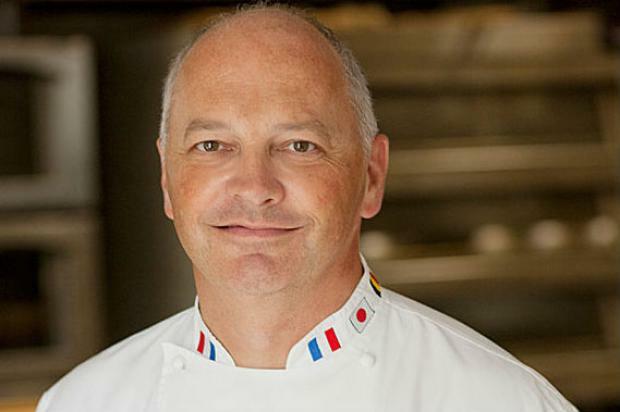 LINCOLN PARK — Old Town's world champion pastry chef Pierre Zimmermann is preparing to open a Lincoln Park location of his French-inspired La Fournette Bakery and Cafe. Zimmermann's Old Town location on Wells Street has been open for just over a year, but the success has exceeded his wildest imaginations leading him to open at 2468 N. Clark Street later this month. "You dream something like that, but you don't know if it will work," Zimmermann said. "This is what makes the U.S. so wonderful. Everything is possible." Zimmermann, who sold his family's 110-year-old bakery in Schnerscheim, France, in 2009, hopes the Lincoln Park neighborhood is as open to French bakery culture as Old Town has been over the last year. The new location is set to open the week of Aug. 19 and will be slightly smaller than the Old Town location, but will have a patio that can seat up to 30 guests, he said. Zimmermann, the 1996 world baking champion, said he continues to make the same breads and pastries that he did in his home village of 400 people. "We are not trying to do something magic," he said. "It's just making bread and making breakfast pastries every day as good as we can." Zimmermann has been working at perfecting baked goods his entire life. His first memory with dough was as a 5-year-old rolling out cookies on a wooden stool with his grandfather. ‘We do what we know," he said. "It’s in our blood." The Lincoln Park La Fournette will be a near replica of the Old Town location. The same carpenter and contractor have been building out the space, and the menu will remain the same. Popular items include croissants, cookies, fresh bread, crepes, macarons, sandwiches and salads. "We wanted to open the second store in keeping the same spirit as this one in a nice neighborhood," Zimmermann said. A number of high-end Downtown hotels have begun buying their bread from La Fournette, including Hotel Sofitel, Trump International Hotel and The Peninsula. "Making a good bread every day is really a hard challenge," Zimmermann said. "If you don’t do it with your heart, not just with your hands and your recipes, you can never reach this level that we expect to reach every day." A big factor in the decision by Pierre and his wife Michele Zimmermann to move to Chicago was the city's makeup of unique neighborhoods. Coming from a small village of 400, they wanted to keep the feel of a neighborhood bakery. "I love the human part of the big city," Pierre Zimmermann said. "A neighborhood works more like a small community." Another similarity between his hometown and Chicago is the work ethic, according to Zimmermann. "People work hard and are proud to do that, like in Alsatian," he said.